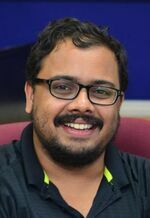 Arkadev Chattopadhyay is currently an Associate Professor at the School of Technology and Computer Science at TIFR, Mumbai, which he joined in September 2012. He obtained his Ph.D. from McGill University in 2008 under the supervision of Denis Thérien. He was a member of the School of Mathematics at the Institute for Advanced Study, Princeton for the year 2008-09. He was a postdoctoral member in the Department of Computer Science at the University of Toronto from 2009 to 2012. His research interests are in computational and communication complexity. Outside of this, he is also interested in literature, films and politics. 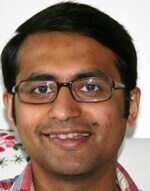 Nikhil S. Mande is a postdoctoral fellow at the Department of Computer Science at Georgetown University. This work was done while he was a Ph.D. student at the School of Technology and Computer Science at TIFR, Mumbai, where he was advised by Arkadev Chattopadhyay and graduated in 2018. His research interests lie in communication complexity and circuit complexity. In his spare time, he enjoys speedsolving Rubik's cube and related puzzles; his official records can be found here.